Midnyte Reader: The Wolf Gift. 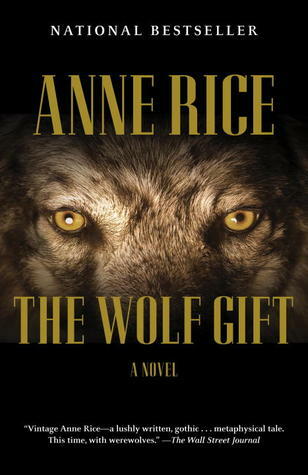 Title/Author: The Wolf Gift by Anne Rice. Synopsis: The place, the rugged coast of northern California. A bluff high above the Pacific. A grand mansion full of beauty and tantalizing history set against a towering redwood forest. A young reporter on assignment from the San Francisco Observer. . . an older woman, welcoming him into her magnificent, historic family home that he has been sent to write about and that she must sell with some urgency . . . A chance encounter between two unlikely people . . . an idyllic night—shattered by horrific unimaginable violence. . .The young man inexplicably attacked—bitten—by a beast he cannot see in the rural darkness . 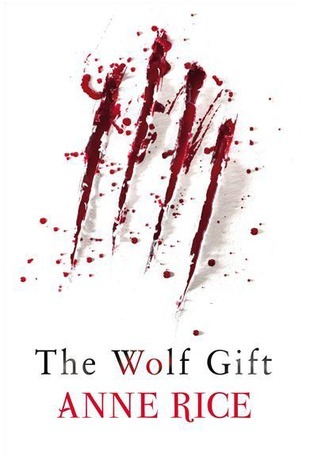 . . A violent episode that sets in motion a terrifying yet seductive transformation as the young man, caught between ecstasy and horror, between embracing who he is evolving into and fearing who—what—he will become, soon experiences the thrill of the wolf gift. As he resists the paradoxical pleasure and enthrallment of his wolfen savagery and delights in the power and (surprising) capacity for good, he is caught up in a strange and dangerous rescue and is desperately hunted as “the Man Wolf,” by authorities, the media and scientists (evidence of DNA threaten to reveal his dual existence). . . As a new and profound love enfolds him, questions emerge that propel him deeper into his mysterious new world: questions of why and how he has been given this gift; of its true nature and the curious but satisfying pull towards goodness; of the profound realization that there are others like him who may be watching—guardian creatures who have existed throughout time and may possess ancient secrets and alchemical knowledge and throughout it all, the search for salvation for a soul tormented by a new realm of temptations, and the fraught, exhilarating journey, still to come, of being and becoming, fully, both wolf and man. ~Goodreads. 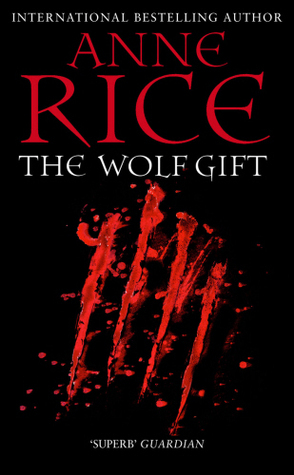 My Thoughts: After conquering vampires Anne Rice tries her hand at werewolves. What I liked most about The Wolf Gift is the mythology created about these shapeshifters and the way that Rice takes the legend so far back it's basically a werewolf creation myth. What also is unique is the behavior of the creature, Reuben, when he is in his wolf form. He becomes a kind of superhero werewolf, whom the media dubs "The Man Wolf." That part was hard to take too seriously, but I appreciated his vigilante attitude. Rice also did a nice job with the setting of this novel. The northern California woods, the cliffs of the Pacific and the large Gothic mansion named "Nydeck Point" are described in detail and I could envision being there. The narration was pretty good. John McLarty did a fair job, considering there were several characters. His best portrayal, which makes sense, is when he acted out Reuben. When the wolf was in his wolf form, his voice was deeper, and more purposeful and very theatrical and unfortunately I couldn't suspend my disbelief. I'm not sure if reading the text would have been a different experience. Some scenes came out over the top and while maybe that was the purpose, it made me laugh out loud. Again, maybe if I had been reading it would have been better for me. However, even Reuben's brother, Jim who is a priest, made fun of him when he confessed "I lay with her." His brother replied, "You 'lay' with her? What are you, quoting The Bible?" I read Anne Rice's "Lestat" series a long time ago and even then I felt she was very "wordy" but still loved the stories and the characters. Unfortunately, with The Wolf Gift, I wasn't as enamored. There is a lot of information dumping and telling and it didn't help to convince me of the reality of the story. For instance, the reader doesn't find out about the mythology until practically the end of the book and it is related to Reuben (and company) by a narrative. I found it interesting, but it felt like an essay. Also, the characters were not compelling to me personally. The main character Reuben is a young reporter, only 23, and has an amazing job, is a brilliant writer, his family is wealthy and he drives a porsche. Perhaps I'm jaded on struggling college grads who serve time in trenches and menial jobs as they climb their preferred job ladder, but I just couldn't relate to him. Unfortunately, I didn't relate to any of the characters. I did like his brother, Jim who brought up valid points of morals and ethics. I thought there was going to be more of a struggle, either internally with Reuben or externally between Jim and Reuben. However, Jim wasn't really in it much after that particular scene. I'm pretty sure this is the start of a series and a few things were left hanging. If I continue, I may try reading the next one instead of listening to it to see if I get a more positive experience. All in all: This book did not work for me and I had a hard time staying interested. 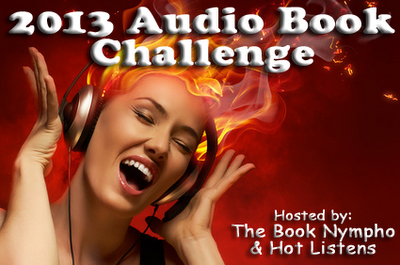 Because it was an audio book may have contributed to some of the negatives I experienced. 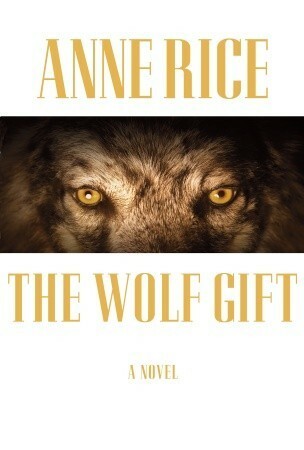 To be perfectly, honest, I've never been tempted to read Anne Rice, but I'm glad I've read your review because I was curious about the fact that she'd decided to write a werewolf novel. Judging from your review however, I think definitely wouldn't be the place to start with her. I didn't even know this was out! I like Rice, but not as much as I want to- however I still love The Witching Hour! Oh, man, "The Vampire Lestat" is a masterpiece imho, but I'm sad to see that this Werewolves one doesn't seem to match the awesomeness of her previous books.
" I found it interesting, but it felt like an essay." I think this would likely be my problem with her books Pam! She's of course an obviously gifted storyteller, but I have heard she can definitely be wordy at times, and I tend to struggle with stories like that. I read for fun, I don't want to feel like I have to force myself to get through something which is why I haven't given her a try yet. Maybe one day I'll see what Lestat is all about:) Lovely review!!! I couldn't get through Interview with A Vampire, but I'm sorry this Wolf one fell flat for you. @Julie-I really wanted to like this. @Ruby-I would check out the GR/Amazon reviews too. There are some who really loved it. @Eva-I feel kind of bad for not liking it because I love Anne Rice. @Jenny-She is probably not for everyone. If you don't like word, I'm think you might have an issue. @Steph-Interview was an intense read. Sometimes you have to give more attention to a book than you want to.